I know we are past Christmas now but I couldn't resist picking up this cheese in Marks and Spencer. 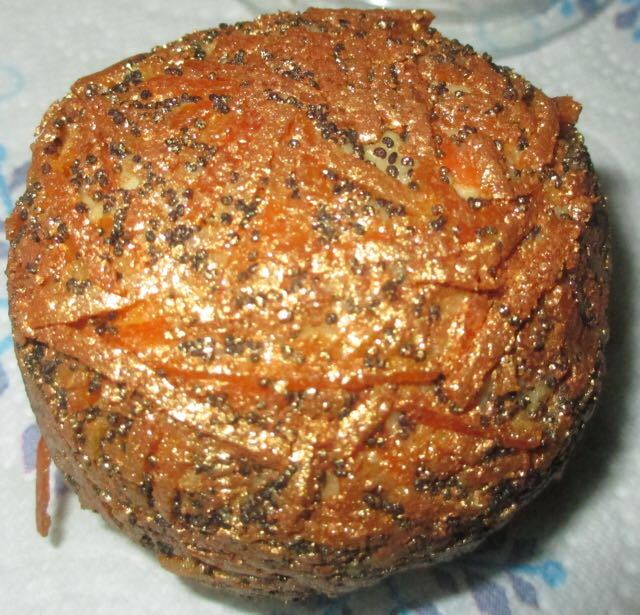 Cheese is popularised during the festive season, and this has allowed Mark’s to get creative and come up with this spectacular looking cheese. I also love cheese, and have enjoyed many of the seasonal editions that have been out. Just a note though, I purchased this in January and despite it's theming, even mentioning it is a cheese “bauble”, it was in no way reduced in Marks and Spencer which was a bit disappointing. Isn’t their a rule that Xmas stock should be cut price in January? Oh well, I still couldn't resist it. The cheese however was not disappointing, it is the prettiest cheese ever. It is a ball of Cheddar cheese, made with caramelised orange, covered in orange peel, poppy seeds and a shiny edible gold lustre. On a cheeseboard it looks very impressive. Yes the gold lustre might be a novelty, but it is so sparkly. The cheese tastes mainly of orange and medium strength cheddar. The flavours go well together. The orange within the cheese is quite sweet, and marmalade like, and it contrast nicely with the woodier flavour of the cheese. The peel around the edge adds a different depth of flavour, again it is sweet but add a lovely citrus tang. I have to confess I couldn't pick up on the flavour from poppy seed coating, there was quite a lot going on with the other tastes. 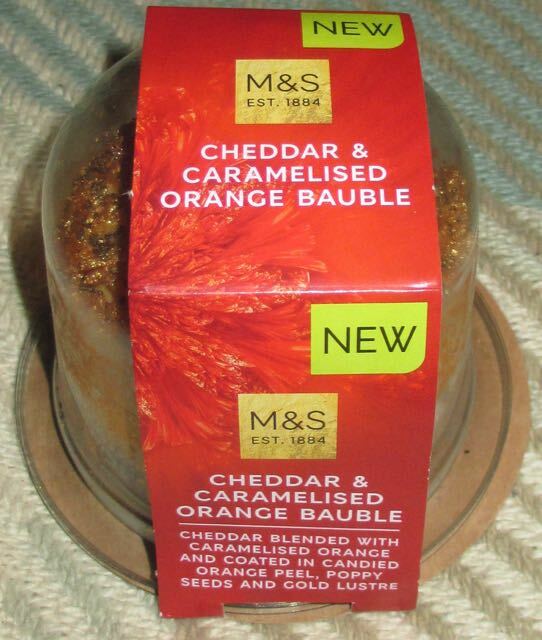 Even without any reduction in the price it is worth hunting out this Cheddar and Caramelised Orange Bauble from Marks and Spencer. 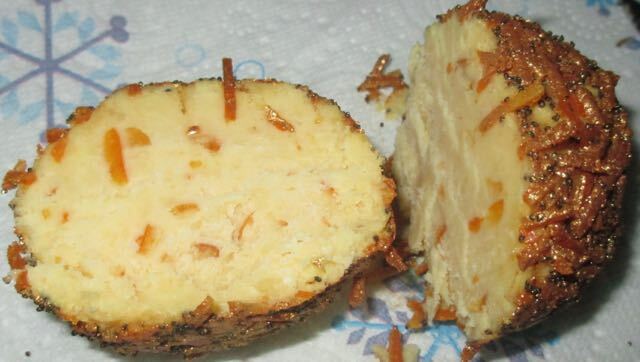 Its sweet, fruity and has a lovely depth of Cheddar flavour. Although mine had a best before date in February I can’t imagine these being on the shelves very long, I know I’m going to see if I can find another next weekend.